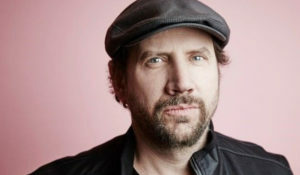 Comedian-actor-writer-producer Jamie Kennedy arrives in Houston for a weekend of riotous laughter at the Houston Improv. One moment, you might find the multitalented Kennedy gracing the stand-up stage with observations from his storied life, while in the next moment he splashes across the silver screen opposite co-stars such as Jon Voight, Guy Pearce, and Pierce Brosnan. Take your seat to watch the Owls when they play the Golden Eagles on their home court. Admission Tickets start at $12, but you may find better seats on TicketNetwork’s resale site. Join the Heights Young Professionals for '90s Pop Culture Theme Trivia, drink specials, a '90s costume contest, and more at Eureka Heights Brew Co. Admission Tickets are $10. Click here for more information. Americana artist, Johnny Nicholas performs with longtime friend Cindy Cashdollar at McGonigel's Mucky Duck. Admission Tickets are $20 and $22 at the door. Click here for more information. For this improv show, ComedySportz Houston will draw from the vibe of the East Downtown neighborhood and call on audience members to participate. Admission Tickets are $10; limited comped and discounted $5 tickets available. The up-and-coming EDM DJ, Kandy, from Long Island arrives in Houston for his first set of the new year, featuring new music off his forthcoming EP. Admission This show is free, with RSVP, or $5 for Express Entry. Click here for more information.